SIBANYE-Stillwater raised the possibility that support for a secondary strike at its platinum mines may not be well supported, but it also cautioned that the intimidation and violence of a strike at its gold mining facilities was the work of a small minority. 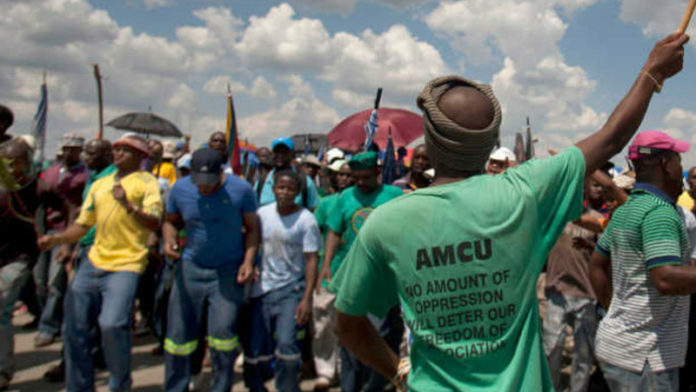 “We are getting a sense that AMCU might not get the support it wants for a strike in the platinum mine, but as we’ve seen in the gold strike it only takes a few hostile people to intimidate others to stay away from work,” Sibanye spokesperson, James Wellsted, told BusinessLive. He was referring to the Association of Mineworkers & Construction Union which started a strike at its Driefontein, Kloof and Beatrix gold mines on November 21. The industrial action has been characterised by violence and intimidation even though as much as half of the firm’s total employees are members of unions that don’t support the strike. Sibanye and AMCU are locked in a legal tussle over the verification of membership numbers, which could determine whether the other three unions are dominant and that the wage settlement must be extended to the whole gold workforce, said BusinessLive. Sibanye was considering its legal options to stop a secondary strike at its profitable and successful platinum division, but it has yet to apply for an interdict to prevent it, the publication said in its report.